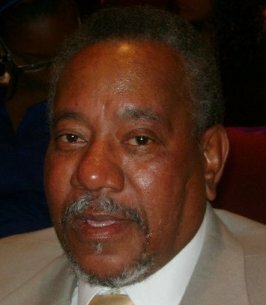 Charles Johnson Service Details - Greenville, South Carolina | Watkins Garrett & Woods Mortuary Inc.
Mr. Charles Thomas Johnson, 76, of Greenville, passed on Sunday, November 4, 2018, at his home. He was a son of the late Thomas Johnson and Annie M. Fowler Johnson. Surviving: his wife, Jeannette McCann Johnson of the home; two daughters, Karen M. Davis of Woodbridge, VA, and Kimberly (Steve) Abraham of Simpsonville; one son, Ken (Taki) Johnson of Taylors; one sister, Sharon Hudgens of Piedmont; one brother, Bennie Lee Johnson of Greenville; six grandchildren; a great-nephew raised in the home, Corey Williams of Greenville; a special aunt, Inez Mahaffey of Piedmont; and a host of other relatives and friends. With much sympathy, I am so sorry for your loss. My sincere apologies on the name for your beloved one I meant Charles Johnson. He endured to the end and we're looking forward to better times when we will all be together with joy. JOHN 11:24. 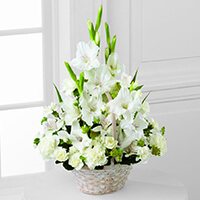 I would like to express my heartfelt sympathy on the loss of your loved one. May the fond memories shared with Martin Wade will always be close to your hearts,He endure to the end and now looking forward to the time of the resurrection hope Jesus spoke of in the Bible at John 5:28, 29. May this be a source of comfort during this time of grief and pain. My sincerest condolences. Blessings to the memories of Mr. Johnson. I am sorry for your loss of your love one, Mr. Charles Johnson. Expressing my sincere condolences to the family. May the God of all comfort sustain each one of you during time of grief. 2 Corinthians 1:3,4. My sincere sympathy to the family. Losing a dear family member in death is very painful. Our loving heavenly father Jehovah understand the pain you feel because death was not a part of his original purpose for mankind (Genesis 1:28). However he provides comfort to help cope with the sadness and grief. Psalm 34:18 says; Jehovah is close to the brokenhearted; He saves those who are crushed in spirit. Also there is a wonderful hope for the future as stated at Isaiah 25:8; He (God) will swallow up death forever. And the Sovereign Lord Jehovah will wipe away the tears from all faces. For more comfort please visit our website: jw.org and view the faith strengthening video; Is There Hope for the Dead? Click publications then videos. Mrs. Jeannette, our thoughts and prayers are with you & your family.